Powerdisplay Limited are manufacturers of display related components and peripherals. Working behind the scenes and operating outside mainstream distribution channels, we power some of the world’s most innovative displays and work closely with OEMs and system integrators to design, develop and assemble displays of all sizes. The PD-FHD02 is a multi-function LCD controller for display panels with an LVDS interface and maximum resolution of 1920 x 1200 pixels (WUXGA). The controller features twin HDMI inputs and a USB type-C connector for power, audio and video over a single cable (alt-DP mode). The PD-FHD02 is supplied with a range of modular and complimentary sensor and control sub-boards (for monitoring) and is suitable for multiple display applications such as industrial monitors, digital signage and embedded applications. 4K multi input/output industrial grade LCD controller capable of supporting all eDP, V-by-One and 8 channel LVDS panels. 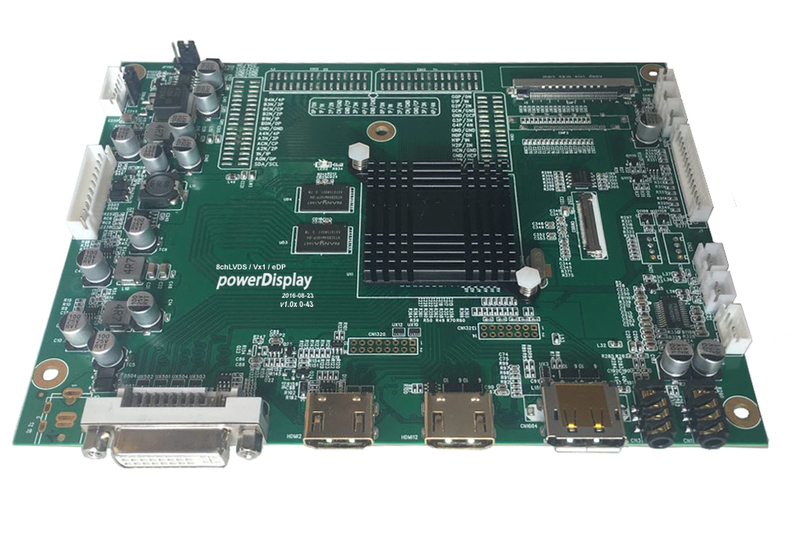 5K3K dual displayport controller suitable for all single input eDP panels where a scaler is not required. 4ch LVDS and eDP LCD controller board with output resolution of 2K@60Hz. Featuring 6 inputs, including twin HDMI, Displayport and 1 x Dual-Link DVI and VGA. The board also features Quad/Tripple/Dual/ PIP/ POP display modes as well as daisy chain support for DisplayPort 1.2 inputs. 4 separate LVDS and eDP boards based on Mstar, Realtek, Novatek and ST chipsets for resolutions up to WQXGA (2560 x 1600). 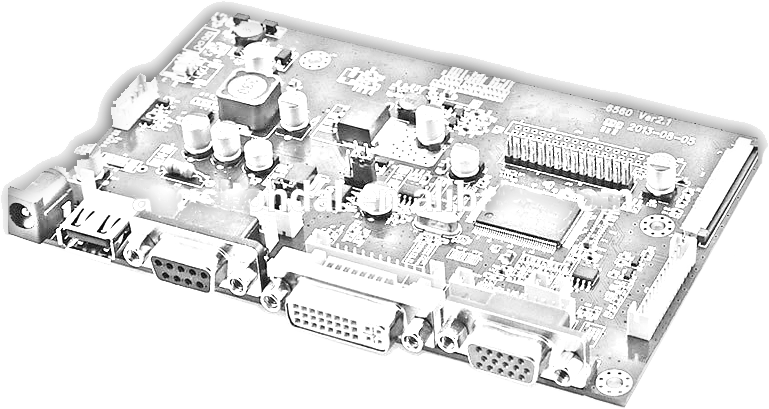 All 4 boards feature single Displayport, HDMI, Dual-Link DVI, VGA and RS232 ports. Additional features include PIP/PBP and 5/12V output directly from controller. 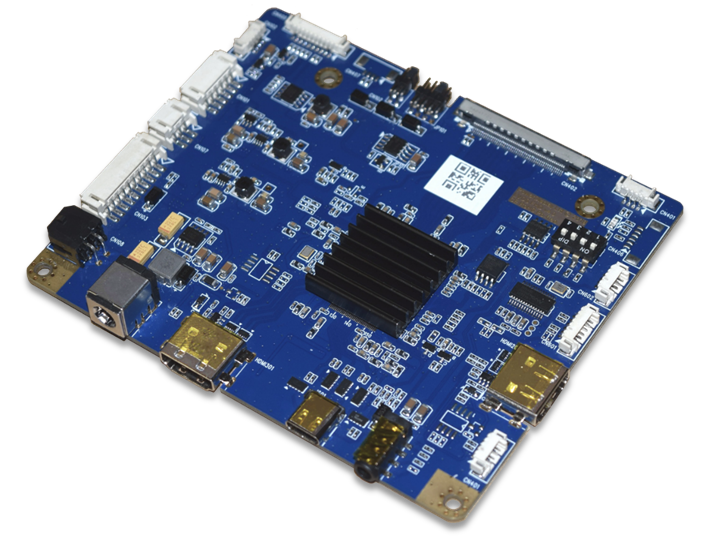 Supplementary products include Ambient Light Sensors (ALS), ethernet (TCP/IP) control, numerous OSD boards (3/5/7 key) as well as DC-DC sub-boards.